Materials: Rowan Purelife Organic Wool DK weight yarn, 137 yards (125 meters) / 50 gr, color 603 Black Tea - 1.5 balls. Row 4: sl1, p1, k1 to the end of the row. Row 6: sl1, p1, k2, p1, k2, p2. Row 8: sl1, p1, k2, p1, k2, p2. Row 10: sl 1, *p1, k1, repeat to the end of the row. Rows 11 and 13: sl1, *k1, p1 repeat to the end of the row. 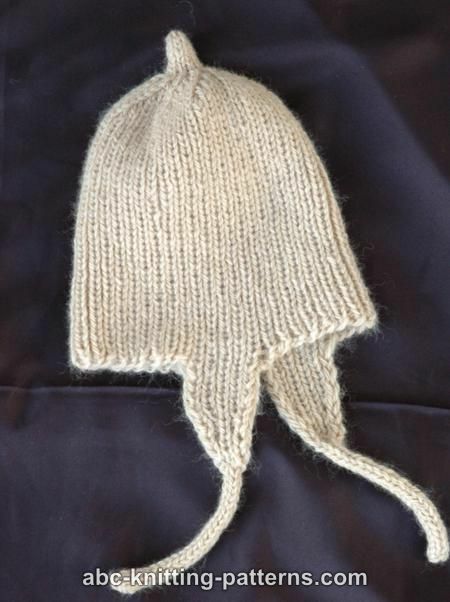 Work the 15th row of the second earflap, at the end of the row cast on 18 (23, 28) sts with with single cast on, work the sts of the first earflap, cast on 40 (45, 50) sts with single cast on, join and continue to work rib 1x1 in rounds. Total 80 (90, 100) sts. Work rib for 32 (36, 40) rounds. Cut yarn, leaving a 4" (10 cm) tail. Pull through remaining sts and secure. There are 16 total comments on this article. 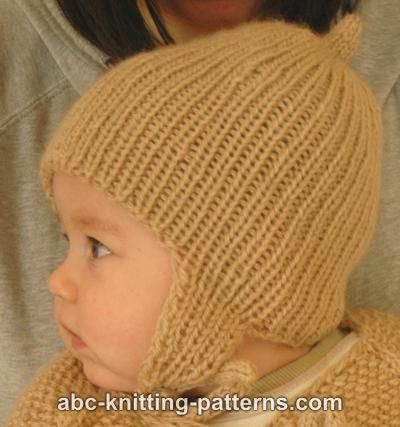 I have never knitted on a circular needle, does this mean you have no seams. 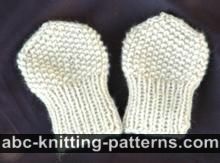 Could these patterns be knitted with ordinary straight needles. The "m" stands for "make one," as in Make one stitch. for the explanation on what m1 means. you knit 1st. with the last rows yarn going in the middle of your last stitch and the next stitch. you now have increased a st. 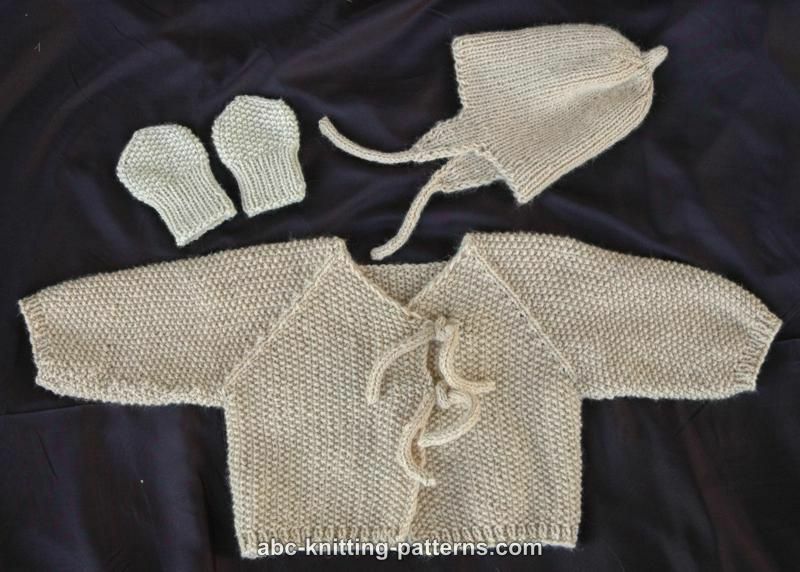 The sweater pattern is on the same page in the Knit/Baby section. 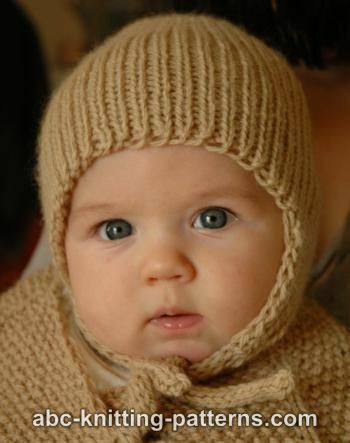 I am also wondering if you s1 knit or purl. 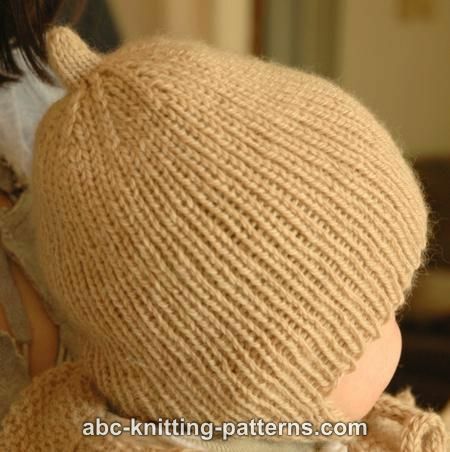 Is it a sl as if to purl before a knit stitch and a sl as if to knit before a purl? 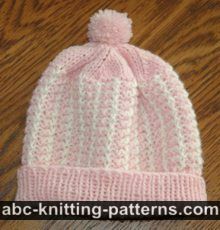 I want to make this hat and hope someone can help. 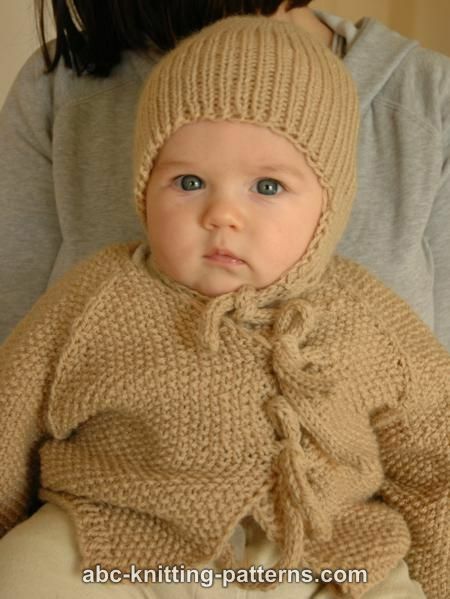 If the last st was purl, then you slip as if to knit.